Dennis J. Artese - Insurance Recovery Attorney | Anderson Kill P.C. Dennis Artese is a shareholder in the New York office of Anderson Kill. He is also co-chair of the firm's Construction Industry practice group. Dennis' national practice concentrates on all types of insurance recovery litigation, with an emphasis on securing insurance coverage for construction-related first-party property losses and third-party liability claims as well as for property and business interruption losses stemming from natural disasters and other perils. Dennis has substantial experience in all phases of litigation, arbitration and property insurance appraisals, and has recovered millions of dollars of insurance proceeds on behalf of policyholders in connection with a variety of property, builder's risk, commercial general liability, umbrella and excess liability, D&O, E&O, crime, and political risk insurance claims. Dennis also has extensive experience in litigating insurance broker malpractice cases and other general commercial litigation disputes, including construction-related disputes. 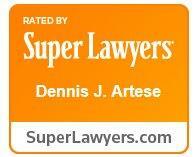 Dennis has been recognized by Super Lawyers for Insurance Coverage since 2012. He also has been recognized by Legal 500 for Insurance Advice to Policyholders and singled out as being a "superb lawyer and subject-matter expert." Dennis was awarded Anderson Kill's first Eugene R. Anderson Award, established in recognition of the extraordinary talent and leadership skills of its founder, Gene Anderson. The award goes to individuals who best exemplify Gene's "Twelve Principles," including excellent client service, exemplary work ethic, high level of personal satisfaction in professional practice, service to the firm, and conscientiousness. While attending St. John's University School of Law, Dennis received the CALI Award for academic excellence in Commercial Transactions, Evidence, and a Judicial Externship with the Honorable Margaret C. Reilly, New York State District Court Judge, Nassau County. Dennis also was a staff member of The New York Litigator at St. John's. Changes in New York’s Late Notice Laws?